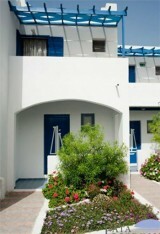 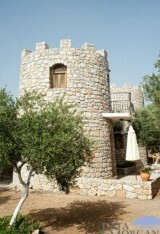 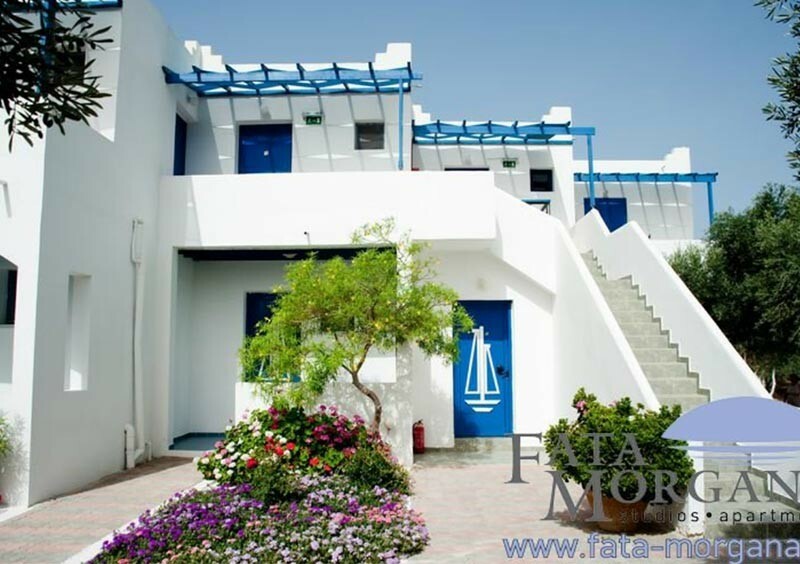 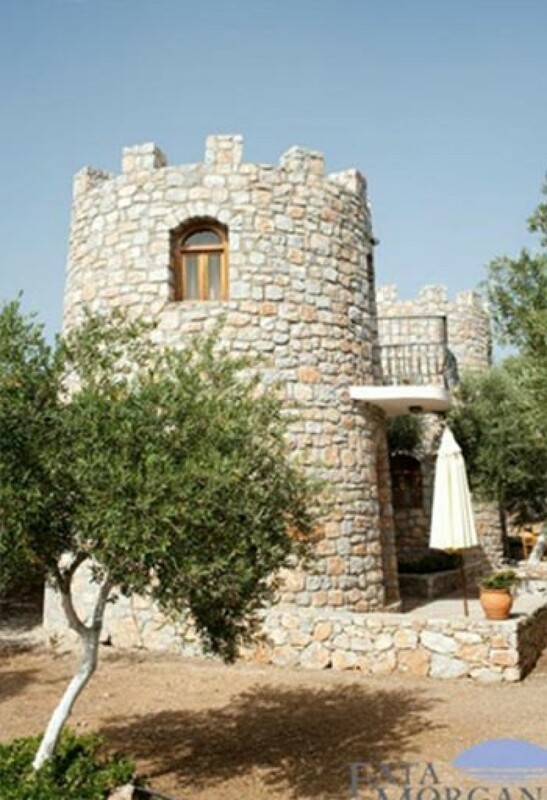 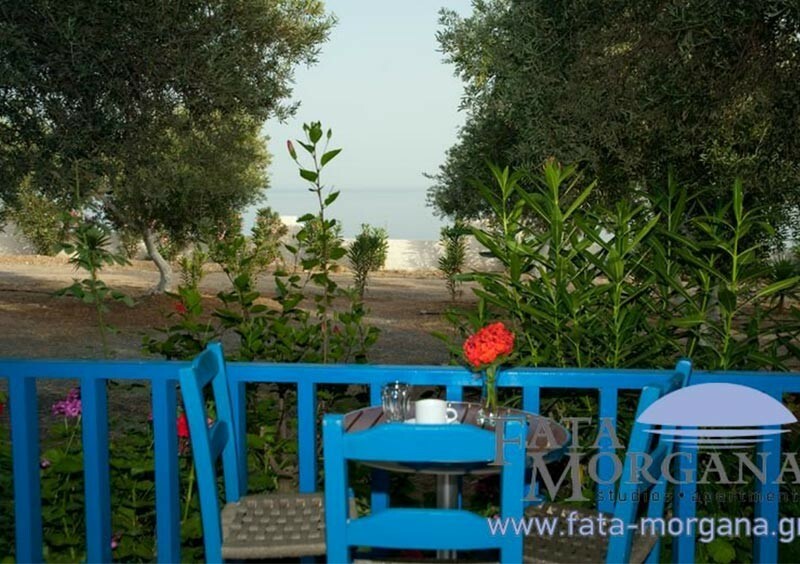 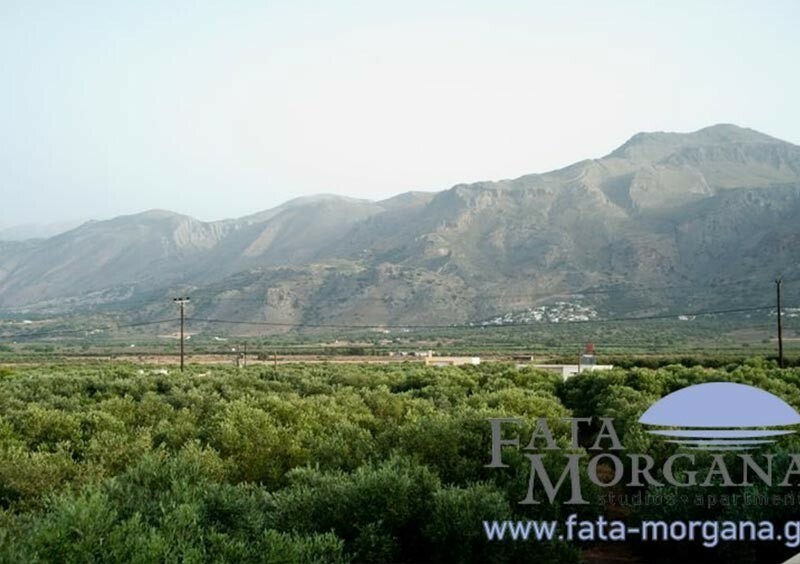 Fata Morgana Studios & Apartments - Frangokastello, Sfakia, Chania, Crete, Greece - Welcome - Aerial viewFata Morgana occupies a verdurous area of ​​40 acres and is located approximately 800m east of the fort of Frangokastello. 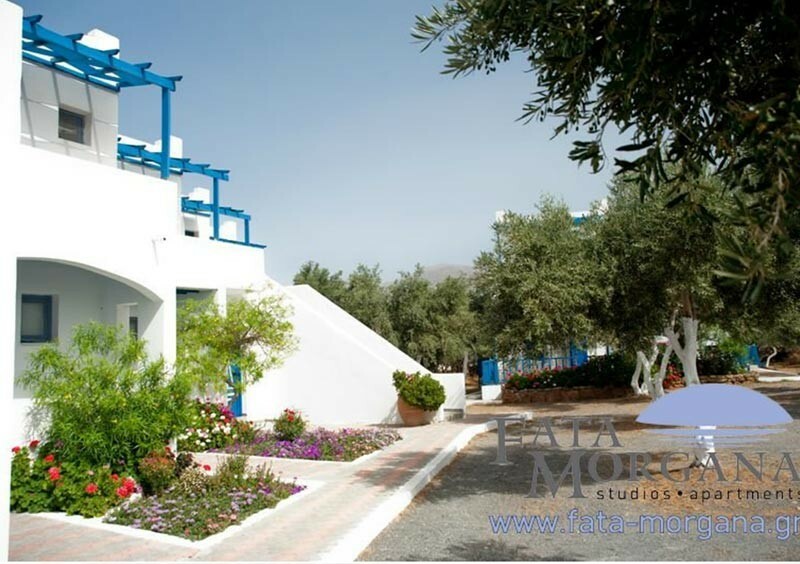 With respect to the natural environment, Fata Morgana apartments and the colorful flower beds that surround them, have been incorporated in the olive grove, offering you a scenery and magnificent scents. 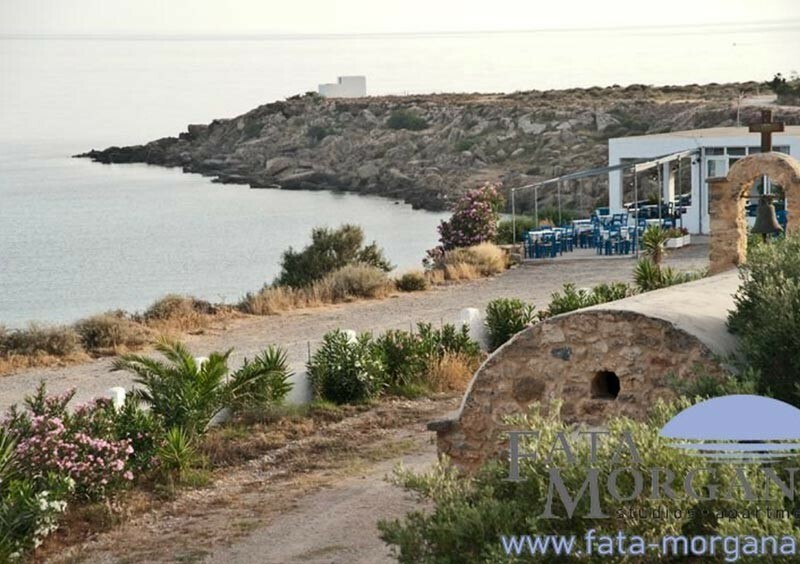 One of the most beautiful beaches of Crete, Orthi Ammos (Standing Sand) is located within walking distance of Fata Morgana. 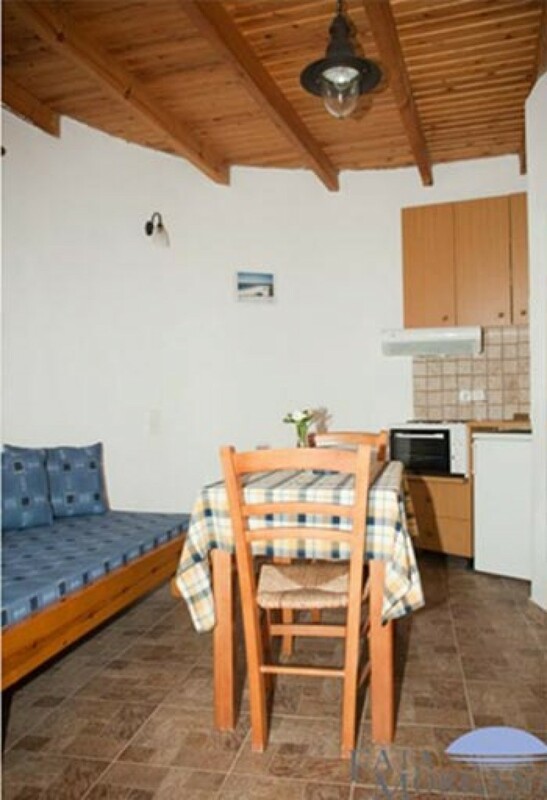 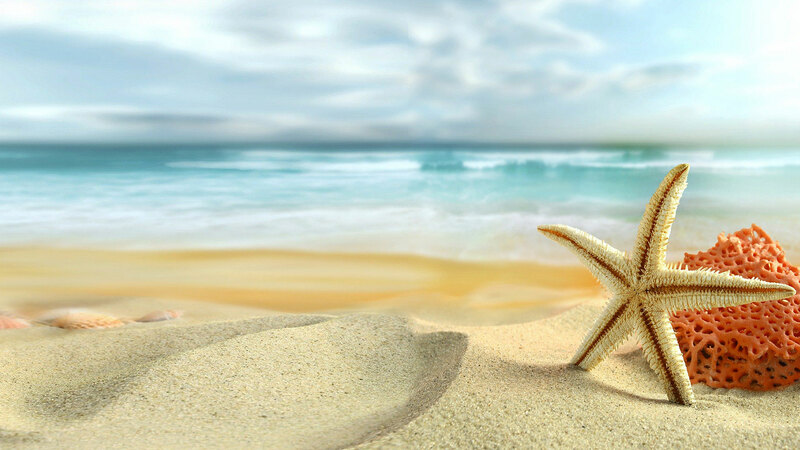 Particularly suitable for families with children as the beach is sandy, shallow, with crystal clear blue waters and easy access.